If you meant that you will go to Takayama in Gifu, you may use 7-day JR Pass for the last 7 days. You may add other deal in Osaka. Your itinerary is very detailed and really helpful. I plan to follow the morning section of your itinerary from Shinjuku-Chureito Pagoda-Gotemba Premium Outlet. However, I’m afraid that I’m stuck after that. My friends are quite keen on visiting the famous photo spots in both Lake Kawaguchi and the torii at Lake Ashi Shrine on the same day. I’m not sure if it’s possible as I can’t seem to find any tours which includes both places in 1 day. Do you have any suggestions for us if we are able to slot in both Lake Kawaguchi(no cruises necessary, just the picture-taking spot for my friends) and Lake Ashi Shrine along with Chureito Pagoda? Also, if this itinerary is possible, which pass would you recommend that will cover the places we are visiting? P.S. I have attached a sample picture of the supposed famous view of Lake Kawaguchi with Mt Fuji in the background for your reference. I think you need more time in Lake Kawaguchi. I recommend you to take one later bus from Lake Kawaguchi to Gotemba outlet because in my sample, you can visit only Chureito Pagoda. Your friend needs more time at Lake Kawaguchi. But if you do so, you don’t have a time to take Gondola to Owakudani. Both Gondola and Cruise ship on Lake Ashi runs until 17:00. I don’t think you have enough time to do both. You have to give up either Gondola or Cruise ship. I think your friend pick up the cruise. Fuji Hakone Pass is required anyway as long as you visited both Hakone and Lake Kawaguchi. Thank you so much for your suggestions so far. After looking through all the map routes and timetables, I’ve made a few adjustments to our itinerary though I’m not sure if it’s feasible. Shinjuku-Kawaguchiko Station-Kawaguchiko Shizen Seikatsukan(? )/Kawaguchiko Natural Living Center(?) [Apparently the famous view of Lake Kawaguchi and Mt Fuji is from the Northern Shore but I’m not sure if this is the place that people are talking about? ]-Chureito Pagoda-Hakone Jinjya Heiwa-n-o-Torii. I noticed that on JNTO’s website there is an earlier express bus at 6.45am-8.30am to Kawaguchiko Station but is it covered by the Fuji Hakone Pass or is that another express bus? I hope that you can give more insight to my updated itinerary. Your itinerary looks okay. I’m not sure that Kawaguchiko Shizen Seikatsukan and Kawaguchiko Natural Living Center are the best spot to see Fuji. There are many spots there and I don’t know which one the best is. I understand the Fuji Hakone pass is only valid for 3 days. What would be your advice in this instance? What pass should I buy? I think you may use Fuji Hakone Pass Odawara version 3 days. I believe you can buy this at Odakyu railway Shinjuku station in advance. This includes only free ride area for 3 days. It does not include Shinjuku to Fuji and Hakone to Shinjuku. You have to add these but even if you use Shinjuku version, you can use only one way because of 5 days stay. You can use this 3 days coverage for middle 3 days of your trip, one day for Lake Kawaguchi, one day for Lake Kawaguchi to Hakone and the last day for Hakone. You can add the other local deal (bus pass) in Lake Kawaguchi if you travel lots. I don’t think you travel lots on the day of Hakone to Shinjuku. I think a regular ticket is okay. Thank you for the shared itinerary. It’s really helpful and full of information. For this coming March 2019, I plan to go to Mt Fuji from Tokyo and I have weekly JR pass (which include shinkansen train). How to go to Mt Fuji by shinkansen train, because I believed it will save my budget and time instead of taking the bus from Shinjuku. And I plan to go to Mt. KachiKachi Ropeway and Lake Kawaguchi Cruise. Then, heading to Hakone to ride Hakone Ropeway and Hakone Sightseeing Cruise. Do I still need to go to Gotemba Premium Outlet for the bus to go to Hakone? Then, I will heading to Kyoto by shinkansen train. Do I need to bring along all my luggage or can I put at the Tokyo station (if need to return back to Tokyo) for the shinkansen train to Kyoto. And do you think I have enough time and reach Kyoto not really late night? I really do appreciate your advise. But if you take a train to get Lake Kawaguchi, the arrival time is later than taking the express bus. I recommend you to take the express bus even though it is not covered by JR pass. Otherwise you cannot complete all places. You have to bring the luggage all the way. Or please ask your hotel in Tokyo about delivery service. Some hotels have contract with the transport company. You can ship your luggage to your hotel in Kyoto. Usually the cost is about 2,000 to 3,000 yen per suitcase. From March jr east will have a direct train traveling from Shinjiku to lake kawaguchi, is jr Tohoku pass and Nagano Pass valid for this train? I don’t think so. JR East Pass does not cover Fuji Kyuko railway between Otsuki and Kawaguchiko. Only Tokyo Wide Pass covers it. I thought the new direct route(no need to get change at otsuki )by JR east will have by pass or made deal w fuji kyuko railway , so jr east passes can be valid for this ride, but it’s not a big deal if it doesn’t. It will be the first limited express train to get Lake Kawaguchi by JR. But JR already operate a direct train service for a long time by Rapid Holiday Fuji or many other rapid train service. Tokyo Wide Pass has been covering this route but JR East Pass does not. So I don’t think JR and Fuji Kyuko will not change the rule. I’m planning to make a one day trip from Tokyo To Kawaguchiko on 14th January 2019, and it is a public holiday. Is my trip above feasible? Can i use IC Card to take a bus from kawaguchiko – oshino hakkai – gotemba premium outlet or should i make a reservation first? Your trip plan is good. You can use IC card (Suica, Pasmo or other major one) on some buses. There are still some buses running which do not have IC card reader. You cannot book a seat for the bus between Kawaguchiko, Oshino-Hakkai and Gotemba because this bus is a route bus, not express bus. Thank you for responding to my message. also, I plan to use the retro bus to go to the nagasaki park and oishi park. However, the web said that IC card is not accepted. Do you have any information for the ticket or how to ride the bus? Actually I have never taken this bus before. But this bus is open for the passengers who has 2 days unlimited ride ticket in my understanding. Because this is a sightseeing bus not a route bus. Hi, I am planning to travel in the opposite direction, starting from the cruise back to Kawaguchiko, as the cruise operations end very early during winter. Do you have any advice? If you intend to take Gondola and Lake Cruise at Lake Kawaguchi, you will miss these. Because these are open until 16:00 or 16:30 in winter time. If you go to Chureito, that’s okay as long as you get there by the dusk. 1) How do I book the bus ride from Kawaguchiko to Gotemba Premium Outlets? 2) How do I book all the buses from Gotemba Premium Outlets to Owakudani? 3) Where do I book the Hakone Sightseeing Cruise? 4) If I would like to visit all three attractions during December (Chureito Pagoda, Owakudani, Hakone Sightseeing Cruise) do you think it is possible? Reservation is not required for all transport which you mentioned. Even if you want, you cannot do it. This sample itinerary was made by winter schedule. So you can make it. We will travelling in 10 on 26th Nov 2018, including kids and adults. We are JR pass holder. I would like to have your suggestion regarding my plan. Going to get Hakone Free Pass even it’s only a day trip. May I know what are the routes that will be covered throughout this plan? We are more favourable to witness the panoramic view of Mt. Fuji. Feel free to comment. Appreciate! Even though you have JR pass, it doesn’t help you. 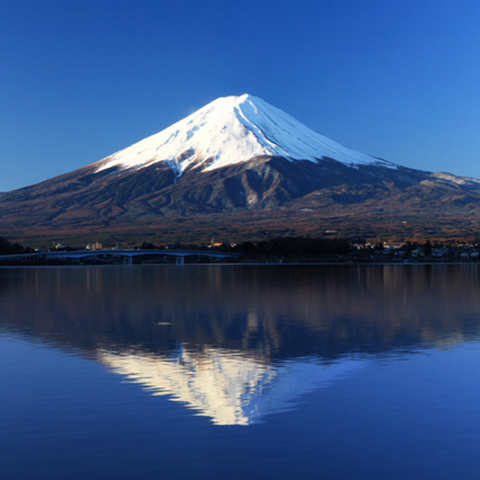 You should buy one day Fuji Hakone Pass from Shinjuku. Because if you use JR pass, you will take a train from Shinjuku and change trains at Otsuki. Trip time is longer than using direct express bus. You have to leave in early morning and get Lake Kawaguchi as early as possible. So don’t try using JR Pass and simply using Fuji Hakone Pass. Thank you for putting up the itinerary. I’m thinking of doing the below on 22 March 2019. What do you think? I’m open to suggestions if you have any! I’m not intending to purchase the Hakone Free Pass as it doesn’t seem worth it for my route. I think it’s really rushed to visit Hakone on the same day even if I skipped walking around in Gotemba Premium Outlets. Thank you so much for your swift response. Just one last thing, regarding all the buses I need to take. Do I need to buy all the tickets in advance & how many days in advance do you recommend? It’s hard to decide what timing to return to Shinjuku from Gotemba Premium Outlets. 3. Yes. Please see the link which I gave you in the previous reply. do you think i have time to visit Oshino Hakkai? It seems a bit rush to still go to GPO after Oshino Hakkai. How much time do people spend at Oshino Hakkai usually? It takes 2 hours usually. If you skip Hakone, you can squeeze it but if you still want to see Hakone, it’s impossible. My plan is to see chureito pagoda, oshino hakkai & go to Gotemba Premium Outlet. Do you think it will be rushed or I should just have a relax time then return to Kawaguchi by bus from Oshino Hakkai & then back to Shinjuku? You can visit all place as day trip. Kindly help me to see if this works for 21/03/2019. I plan to leave by 14:00 to Gotemba Premium Outlets but it seems that all the buses that stop by Oshino Hakkai doesn’t go to Gotemba Premium Outlet, I Guess I can take the bus to Gotemba Station and take the free shuttle. It works. You can change train/bus at Fujisan station in 5 minutes easily. It’s a small station.